King size Bed, TV, Bathroom Vanity, Tub and Shower. Fully equipped Kitchen. With Community Shared Swimming Pool View from your back Patio Deck. Sleeps 4. Fully equipped kitchen with all your cooking amenities. King size Bed, TV, Bathroom Vanity, Tub and Shower. Fully equipped Kitchen. With Community Shared Swimming Pool View from your back Patio Deck. Sleeps 4. King Size Bed, Sofa Sleeper. This unit sleeps 4. Balcony View of Swimming Pool. Back Balcony Area overlooking the shared swimming pool. Balcony Overlooking the Swimming Pool, Has BBQ-Pits King size Bed, TV, Sofa Sleeper, Bathroom Vanity, Tub and Shower. Fully equipped Kitchen. With Community Shared Swimming Pool View from your back Patio Deck. Sleeps 4. 1 Bedroom Efficiency. 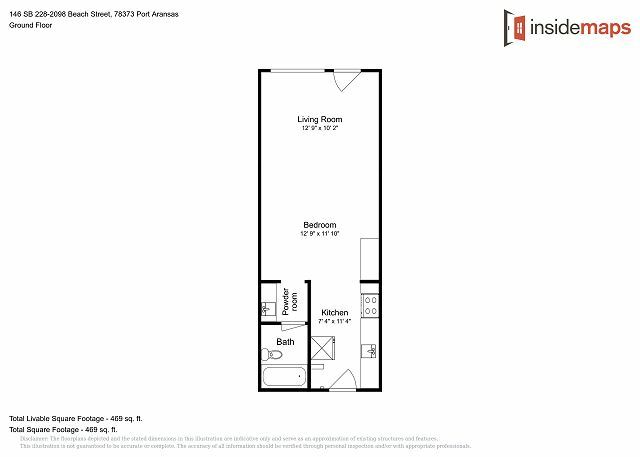 1 Bedroom Efficiency; Sleeps 4 Fully Equipped Kitchen with all your cooking needs. Fully Equipped Kitchen. Small Table in Kitchen King size Bed, TV, Bathroom Vanity, Tub and Shower. Fully equipped Kitchen. With Community Shared Swimming Pool View from your back Patio Deck. Sleeps 2. King Size Bed. King size Bed, TV, Bathroom Vanity, Tub and Shower. Fully equipped Kitchen. With Community Shared Swimming Pool View from your back Patio Deck. Sleeps 2. King Size Bed, TV. King size Bed, TV, Bathroom Vanity, Tub and Shower. Fully equipped Kitchen. With Community Shared Swimming Pool View from your back Patio Deck. Sleeps 2. King size Bed, TV, Bathroom Vanity, Tub and Shower. Fully equipped Kitchen. With Community Shared Swimming Pool View from your back Patio Deck. Sleeps 2. TV TV, and King Size Bed. Sleeps 2 King Size Bed. Full Bathroom, vanity,, tub and shower. Full Bathroom, Shower and Tub. Vanity, Tub and Shower. Vanity, Tub and Shower. Vanity and Bedroom. Beachview Condo at Sea Breeze - Walking distance to the beach, shopping, restaurants, & bars. Open floor layout in the heart of Port Aransas with a private balcony overlooking the Gulf, one block away from the beach, plenty of entertainment for all ages. This very nice updated 4th floor condo has a great gulf view and is located in the Sea Breeze Condo Complex which gives you access to the incredible pool area complete with hot tub, barbecue pits, and outdoor shower with beautiful views of palm trees and scenic landscaping. You’re only a block away from the Port Aransas beach and the South Jetty. All new appliances and fixtures with a comfortable King bed. Ideal for a couple with everything you need to prepare meals in this property. Limited parking to two cars per unit. No pets allowed, no smoking inside property. Laundry facility on 1st floor. Very clean, newly furnished apt in great location near beach and good restaurants. Beautiful view of dunes facing the beach. Please get elevator fixed. It is a hike to 4th floor, but also quiet. Great price! Thank you for your review. We would love for the elevator to be up and running as well, but it is out of our hands. 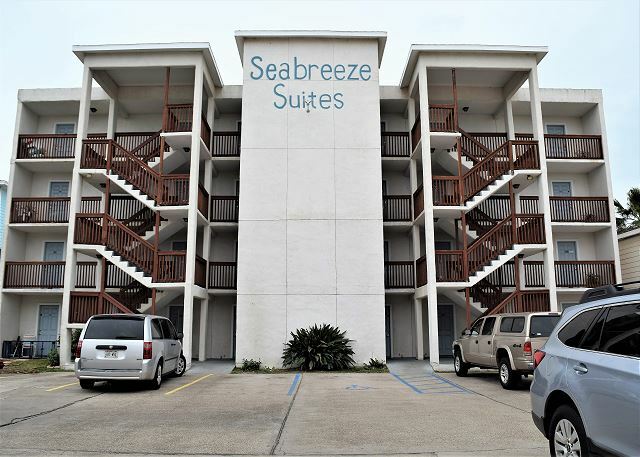 We are still waiting on the insurance company to pay out the HOA of Sea Breeze from the hurricane which damaged the elevator. We are happy to hear that you enjoyed your stay otherwise. We would love to have you again. We found this condo to be very comfortable for the two of us. Tastefully decorated and well equipped. The pool was wonderful and our balcony was shaded in the afternoon. TV was not in a convenient location to see from the bed. Thank you for a great review. We are happy to hear that you enjoyed your stay with us. Please come back soon! This place is awesome and so comfortable. We stayed two nights and were not disappointed. It was more than we expected with a full kitchen and everything you need. We are planning another visit in June!